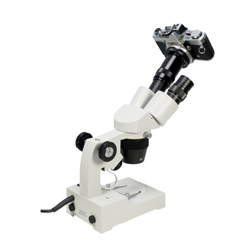 The Apex Digital Practitioner is a modern extremely well made microscope with a professional standard laboratory specification that has a digital camera built in. 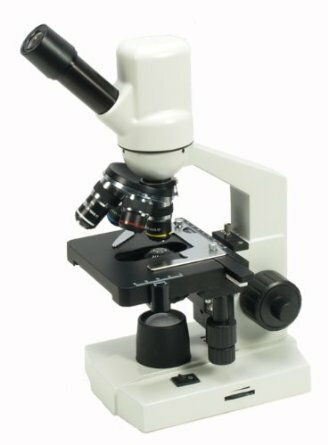 It is used for looking at specimen slides and can magnify from x40 to x1500. Some of the features include inbuilt illumination with rheostat brightness control, full mechanical stage with drop down coaxial controls. Abbe condenser with iris diaphragm and focus control. Fully rotating head. 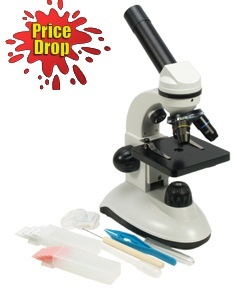 Our range of prepared slides and microscopy kits are ideal for use with this microscope. The inbuilt 1.3M digital camera allows images to be seen on your computer at the same time as you view the specimen. As well as this you can measure parts of your specimen and carryout time lapse video clips as well as still images. To get you started we include a free starters pack of slides, coverslips, slide box and a few prepared slides. 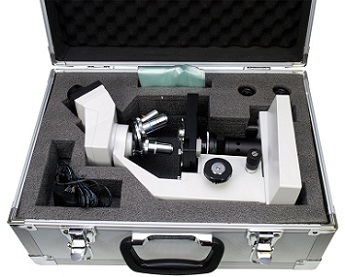 See the Digital Practitioner carrying case to keep your microscope clean and safe. 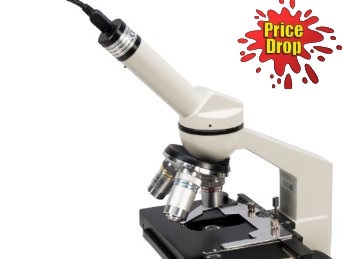 - Our 5* Practitioner microscope with a digital camera already built in and in addition a x100 objective. Aluminium carrying case available as an optional accessory. - Provides a digital image of the specimen on your laptop or PC. Works with Windows XP/Vista/7 and Windows 8, 32bit and 64bit. 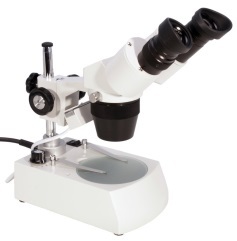 - Eyepieces x10 and x15 with objectives x4, x10, x40 and x100. 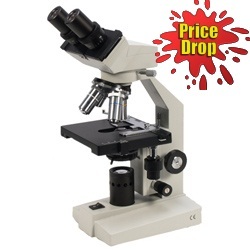 - Magnification range x40 to x1500. Variable brightness lighting, mechanical stage and focussing substage condenser. - The software to make it work includes measurement and time lapse options.